STUDY DESIGN: A systematic literature review and meta-analysis. METHODS: We identified studies published between January 2000 and September 2017, by searching multiple electronic databases, examining reference lists, and communicating with experts. We selected randomized controlled trials comparing manipulation and/or mobilization therapies to sham, no treatment, each other, and other active therapies, or when combined as multimodal therapeutic approaches. We assessed risk of bias by using the Scottish Intercollegiate Guidelines Network criteria. When possible, we pooled data using random-effects meta-analysis. Grading of Recommendations, Assessment, Development, and Evaluation was applied to determine the confidence in effect estimates. This project was funded by the National Center for Complementary and Integrative Health under award number U19AT007912 and ultimately used to inform an appropriateness panel. RESULTS: A total of 47 randomized trials (47 unique trials in 53 publications) were included in the systematic review. These studies were rated as having low risk of bias and included a total of 4,460 patients with nonspecific chronic neck pain who were being treated by a practitioner using various types of manipulation and/or mobilization interventions. A total of 37 trials were categorized as unimodal approaches and involved thrust or nonthrust compared with sham, no treatment, or other active comparators. Of these, only 6 trials with similar intervention styles, comparators, and outcome measures/timepoints were pooled for meta-analysis at 1, 3, and 6 months, showing a small effect in favor of thrust plus exercise compared to an exercise regimen alone for a reduction in pain and disability. Multimodal approaches appeared to be effective at reducing pain and improving function from the 10 studies evaluated. Health-related quality of life was seldom reported. Some 22/47 studies did not report or mention adverse events. Of the 25 that did, either no or minor events occurred. LIMITATIONS: The current evidence is heterogeneous, and sample sizes are generally small. OBJECTIVE: The aim of this case report is to describe the response of a patient with chronic pain who received chiropractic care in a federally qualified health center. CLINICAL FEATURES: A 61-year-old female patient with neck and back pain after a traumatic motor vehicle accident 3 years prior was referred for chiropractic care. She had neck pain, low back pain, knee pain, and pain associated with over 20 surgeries, as well as depression, opioid dependence, and low quality of life. INTERVENTIONS AND OUTCOMES: The patient was treated with chiropractic manipulation for her low back and neck pain and was counseled on nutrition and exercise. After 6 months, she reported improvements in pain, improved quality of life, and discontinuation of opioid pain medication. North York, Ontario, Canada. M2H 3J1. BACKGROUND CONTEXT: Current evidence suggests that neck pain is negatively associated with health-related quality of life (HRQoL). However, these studies are cross-sectional and do not inform the association between neck pain and future HRQoL. PURPOSE: The purpose of this study was to investigate the association between increasing grades of neck pain severity and HRQoL 6 months later. In addition, this longitudinal study examines the crude association between the course of neck pain and HRQoL. STUDY DESIGN: This is a population-based cohort study. PATIENT SAMPLE: Eleven hundred randomly sampled Saskatchewan adults were included. OUTCOME MEASURES: Outcome measures were the mental component summary (MCS) and physical component summary (PCS) of the Short-Form-36 (SF-36) questionnaire. METHODS: We formed a cohort of 1,100 randomly sampled Saskatchewan adults in September 1995. We used the Chronic Pain Questionnaire to measure neck pain and its related disability. The SF-36 questionnaire was used to measure physical and mental HRQoL 6 months later. Multivariable linear regression was used to measure the association between graded neck pain and HRQoL while controlling for confounding. Analysis of variance and t tests were used to measure the crude association among four possible courses of neck pain and HRQoL at 6 months. The neck pain trajectories over 6 months were no or mild neck pain, improving neck pain, worsening neck pain, and persistent neck pain. Finally, analysis of variance was used to examine changes in baseline to 6-month PCS and MCS scores among the four neck pain trajectory groups. RESULTS: The 6-month follow-up rate was 74.9%. We found an exposure-response relationship between neck pain and physical HRQoL after adjusting for age, education, arthritis, low back pain, and depressive symptomatology. Compared with participants without neck pain at baseline, those with mild (β=–1.53, 95% confidence interval [CI]=–2.83, –0.24), intense (β=–3.60, 95% CI=–5.76, –1.44), or disabling (β=–8.55, 95% CI=–11.68, –5.42) neck pain had worse physical HRQoL 6 months later. We did not find an association between neck pain and mental HRQoL. A worsening course of neck pain and persistent neck pain were associated with worse physical HRQoL. Ron D. Hays, Ph.D., Karen L. Spritzer, B.S., Cathy D. Sherbourne, Ph.D., Gery W. Ryan, Ph.D., Ian D. Coulter, Ph.D.
STUDY DESIGN: Prospective observational study. 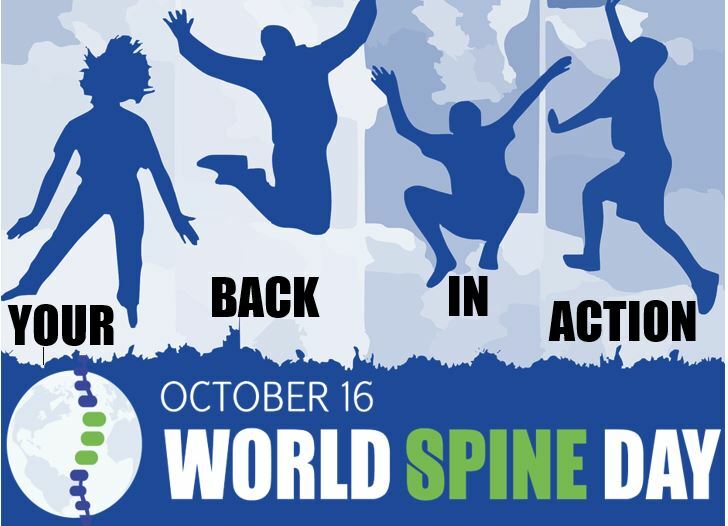 OBJECTIVE: To evaluate group-level and individual-level change in health-related quality of life among persons with chronic low back pain or neck pain receiving chiropractic care in the United States. METHODS: A 3–month longitudinal study of 2,024 patients with chronic low back pain or neck pain receiving care from 125 chiropractic clinics at 6 locations throughout the United States was conducted. Ninety-one percent of the sample completed the baseline and 3–month follow-up survey (n = 1,835). Average age was 49, 74% females, and most of the sample had a college degree, were non-Hispanic White, worked full-time, and had an annual income of $60,000 or more. 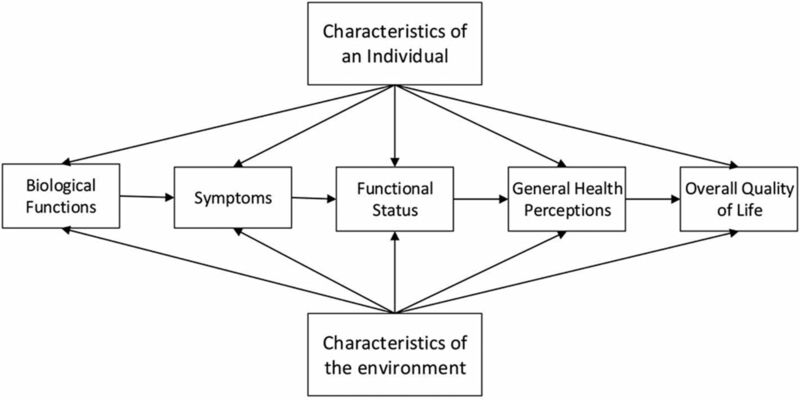 Group-level (within group t-tests) and individual-level (coefficient of repeatability) changes on the Patient-Reported Outcomes Measurement Information System (PROMIS) v2.0 profile measure was evaluated: 6 multi-item scales (physical functioning, pain, fatigue, sleep disturbance, social health, emotional distress) and physical and mental health summary scores. RESULTS: Within group t-tests indicated significant group-level change (p < 0.05) for all scores except for emotional distress, and these changes represented small improvements in health (absolute value of effect sizes ranged from 0.08 for physical functioning to 0.20 for pain). From 13% (physical functioning) to 30% (PROMIS-29 Mental Health Summary Score) got better from baseline to 3 months later according to the coefficient of repeatability. Scott Haldeman, Claire D. Johnson, Roger Chou, Margareta Nordin, Pierre Côté, Eric L. Hurwitz, Bart N. Green, Christine Cedraschi et. al. 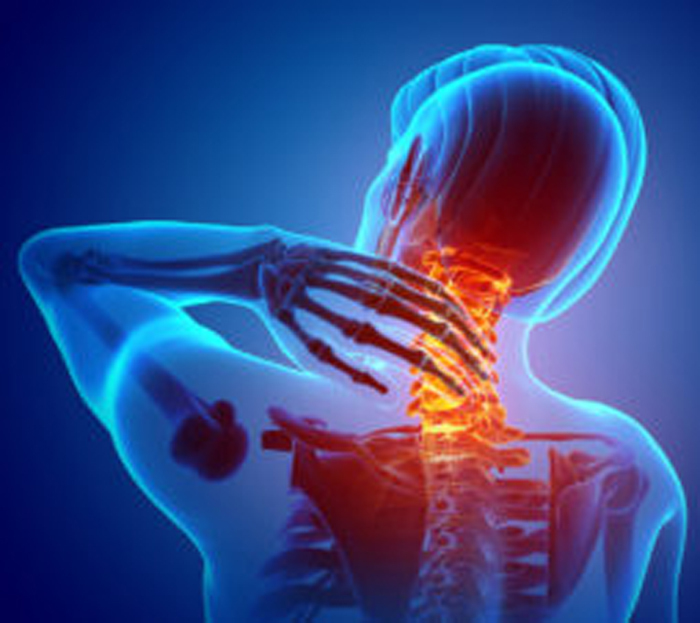 OBJECTIVES: Chronic low back pain (CLBP) and chronic neck pain (CNP) are the most common types of chronic pain, and chiropractic spinal manipulation is a common nonpharmacologic treatment. This study presents the characteristics of a large United States sample of chiropractic patients with CLBP and CNP. METHODS: Data were collected from chiropractic patients using multistage systematic stratified sampling with 4 sampling levels: regions and states, sites (ie, metropolitan areas), providers and clinics, and patients. The sites and regions were San Diego, California; Tampa, Florida; Minneapolis, Minnesota; Seneca Falls and Upstate New York; Portland, Oregon; and Dallas, Texas. Data were collected from patients through an iPad-based prescreening questionnaire in the clinic and emailed links to full screening and baseline online questionnaires. The goal was 20 providers or clinics and 7 patients with CLBP and 7 with CNP from each clinic. RESULTS: We had 6342 patients at 125 clinics complete the prescreening questionnaire, 3333 patients start the full screening questionnaire, and 2024 eligible patients completed the baseline questionnaire: 518 with CLBP only, 347 with CNP only, and 1159 with both. In general, most of this sample were highly-educated, non-Hispanic, white females with at least partial insurance coverage for chiropractic care who have been in pain and using chiropractic care for years. Over 90% reported high satisfaction with their care, few used narcotics, and avoiding surgery was the most important reason they chose chiropractic care. STUDY DESIGN: Cross-sectional and longitudinal analysis of data comprising 4,486 Danish twins 70-102 years of age. OBJECTIVES: To describe the 1-month prevalence of back pain, neck pain, and concurrent back and neck pain and the development of these over time, associations with other health problems, education, smoking, and physical, and mental functioning. SUMMARY OF BACKGROUND DATA: Back pain and neck pain are prevalent symptoms in the population; however, there is little research addressing these conditions in older age groups. METHODS: Extensive interview data on health, lifestyle, social, and educational factors were collected in a nationwide cohort-sequential study of 70+ year-old Danish twins. Data for back pain, neck pain, lifetime prevalence of a comprehensive list of diseases, education, and self-rated health were based on self-report. Physical and mental functioning were measured using validated performance tests. Data including associated factors were analyzed in a cross-sectional analysis for answers given at entry into the study, and longitudinal analysis was performed for participants in all four surveys. RESULTS: The overall 1-month prevalence for back pain only was 15%, for neck pain only 11%, and for concurrent back and neck pain 11%. The prevalence varied negligibly over time and between the age groups, and 63% of participants in all surveys had no episodes or only one episode of back or neck pain. Back pain and neck pain were associated with a number of other diseases and with poorer self-rated health. 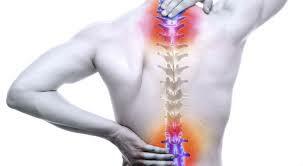 Back and neck pain sufferers had significantly lower scores on physical but not cognitive functioning.